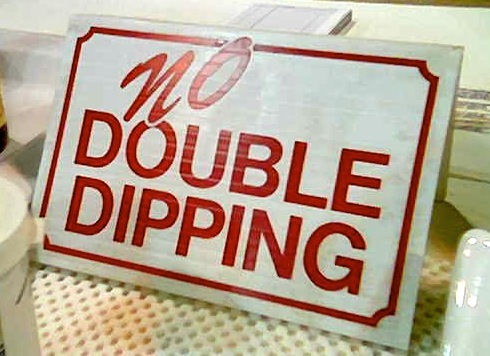 Double-dipping… nothing to do with the yummy swizzels confectionery from the 1980’s. I mean makeup artists putting the same wand into mascara after using on a client. This applies to lip gloss, lipstick, in fact any makeup product. Why say no to double-dipping? Poor makeup hygiene can lead to breakouts on clients/ models. This may not be on the day, but often happens the evening or day after makeup application. Not ideal. Poor hygiene has even worse complications than just the odd breakout. Makeup is applied to very sensitive areas of the face, especially around the eyeline, tear ducts, lip areas. A client recovering from conjunctivitis may not think it important to mention. The tools used on their eyes can carry the infection to the next client. Similarly, bacterial infection from arising or healing cold sores can travel from one client to the next on lip brushes or the makeup itself. No artist wants to be the one that has passed conjunctivitis on to a bride on her wedding day. That said, I have seen many top makeup artists double-dip. Their stance is that they’ve never had a problem with infections or cross-contamination before. That’s fair enough, but there is a first time for everything. The negative impact on the client and your own reputation is immense. Low likelihood, high impact. Why take the risk? – Mascara: use disposable brushes and make sure you use a fresh brush after each pump. – Pencils: dip in IPA, let it dry, and sharpen. Sharpen so the next user has clean tip. Use IPA so you don’t pass germs onto the sharpener. This applies to all types of lip/ eye/ concealer pencil. – Palettes: spray with disinfectant spray after each client. This applies to all compacts or palettes (eyeshadow/ lip/ foundation/ concealer/ blush). – Lipstick bullet/ foundation sticks: spray with disinfectant spray after each client. – Liquid eyeliner brushes: use separate disposable brushes for every time you dip into liquid. I am not against using reusable brushes by any means. There are, however, precautions to take to maintain hygiene. – use artists palettes for holding product. Slice a small chunk of concealer, lipstick, stick foundation and place on palette for use. This avoids double-dipping or constant respraying with disinfectant. While the risk of infection may be low, the impact is very high. If your makeup artist doesn’t follow the hygiene rules in a trial or on a shoot, either don’t book them or ask them if they’ve disinfected before use. You don’t want to be the ONE person that gets an eye infection or cold sore on your wedding day because of poor hygiene, do you? Hygiene is your right, use it. EXCELLENT article! I couldn’t agree with you more!! Leave a reply on "Say no to double-dipping: yes to makeup hygiene"